Happy Weekend Everyone! We have some cool new Halloween Stamps in the shop. I've got my eye on that Bat Woman! 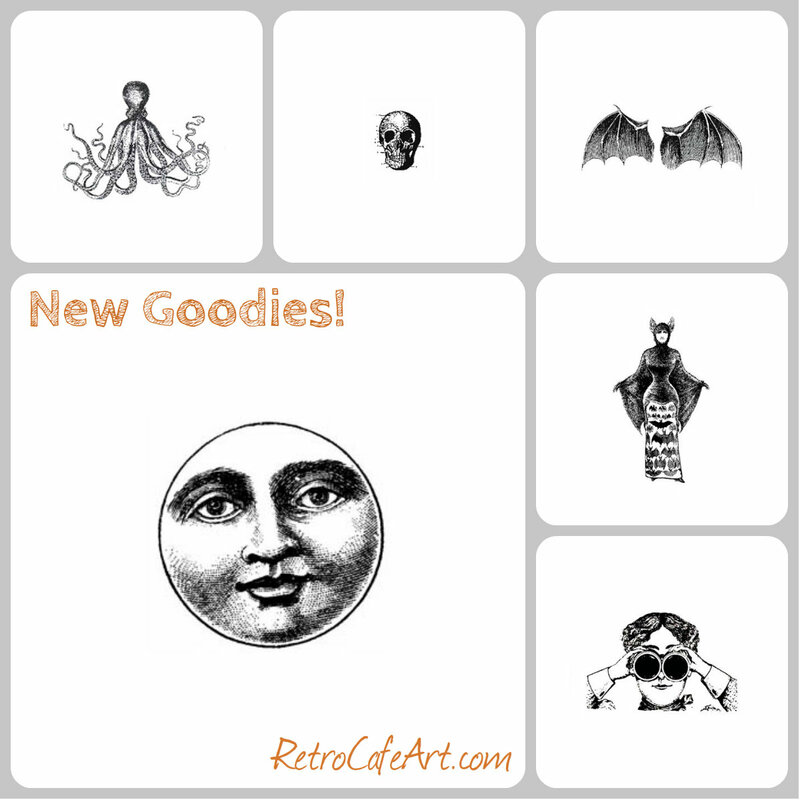 And that Moon Face would look awesome on an art doll! And those Bat Wings... swoon. They are in limited supplies so grab em' while you can! No need to feel crabby today. 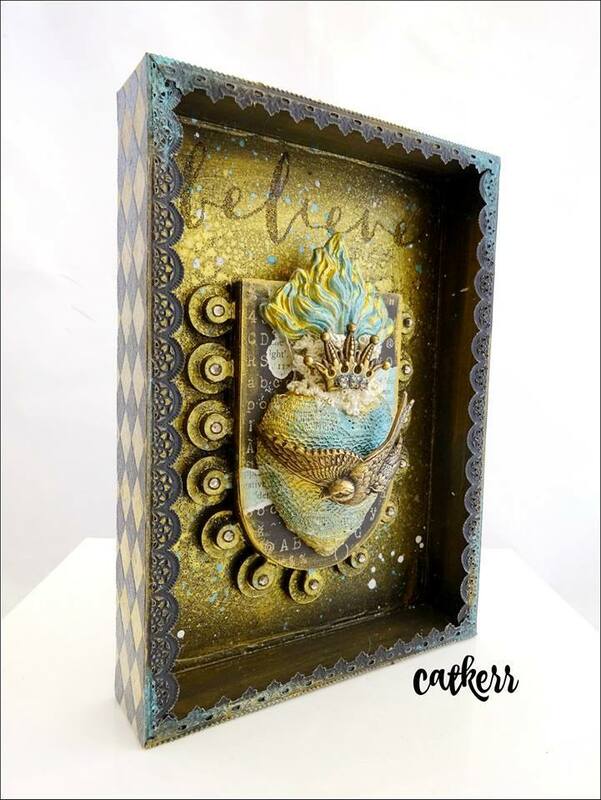 Design Team Member Chrissy Colon has an amazing tutorial for you! 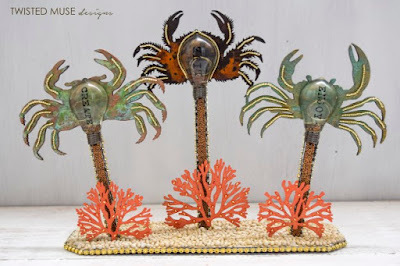 Dive under the sea with Chrissy to find out how she created her fabulous crustaceans! They are sure to put a smile on your face. Awesome project Chrissy! 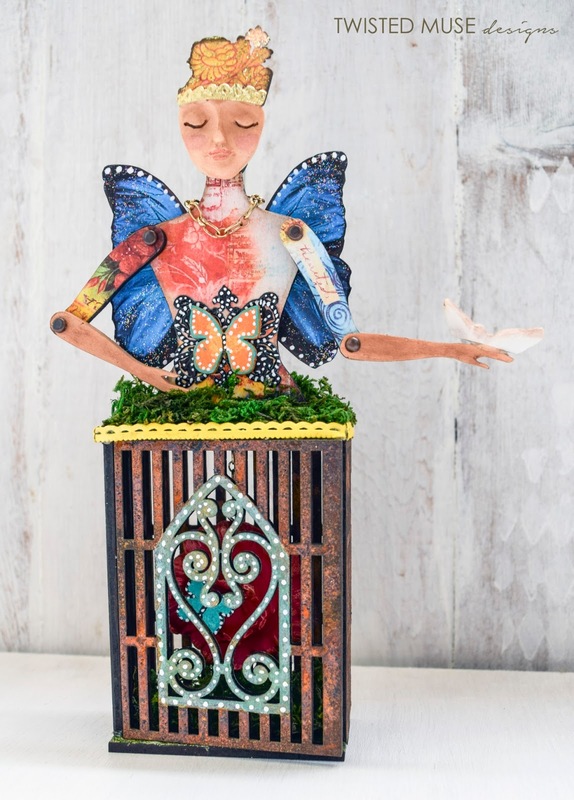 We really love the way Brenda Harris dressed up our little Fairy Stand-Up. She looks like an Ice Skating Fairy Queen! So brilliant the way you brought her to life Brenda! 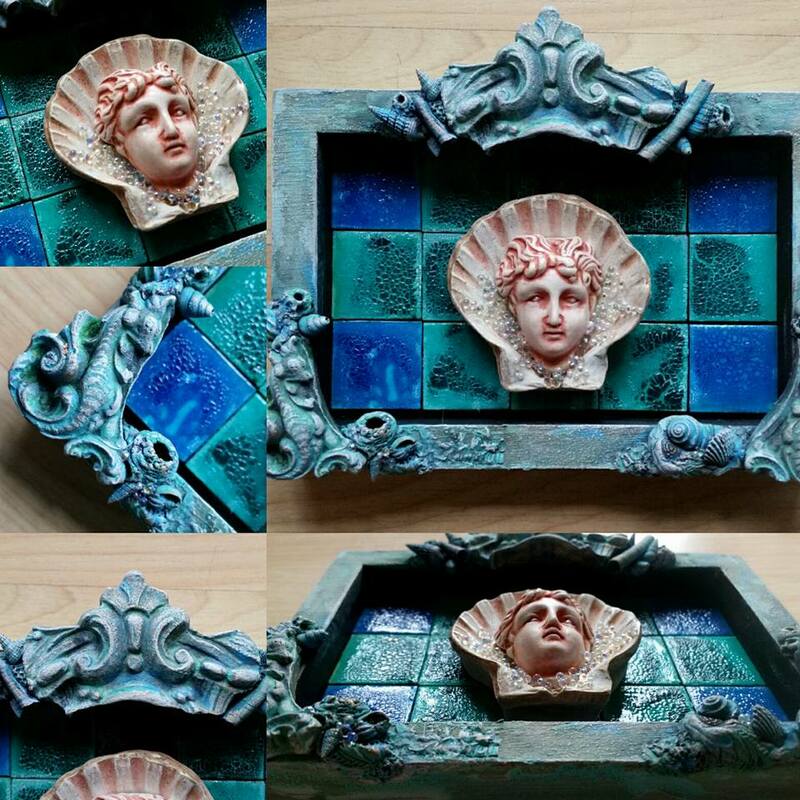 This incredible piece by Sherry Matthews incorporates some of our simple Masonite Tiles! 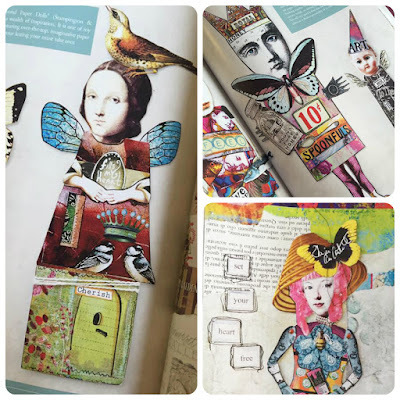 We adore the way she transformed them and combined them so beautifully with her other elements! 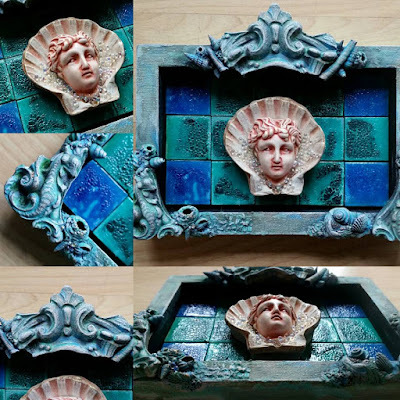 Her piece looks like an ancient artifact, perhaps uncovered from a sunken ship. So cool Sherry! Happy Weekend Everyone! 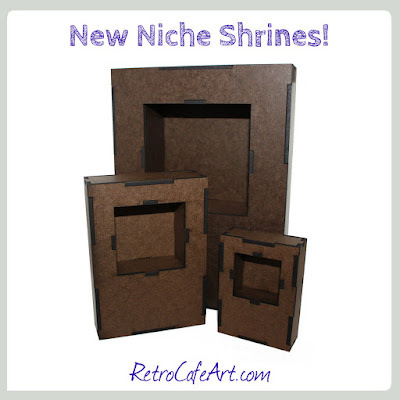 Remember those cool Niche Shrine Kits from last week? Well I decided to elaborate on them, and made so cool new Frames to fit the fronts! 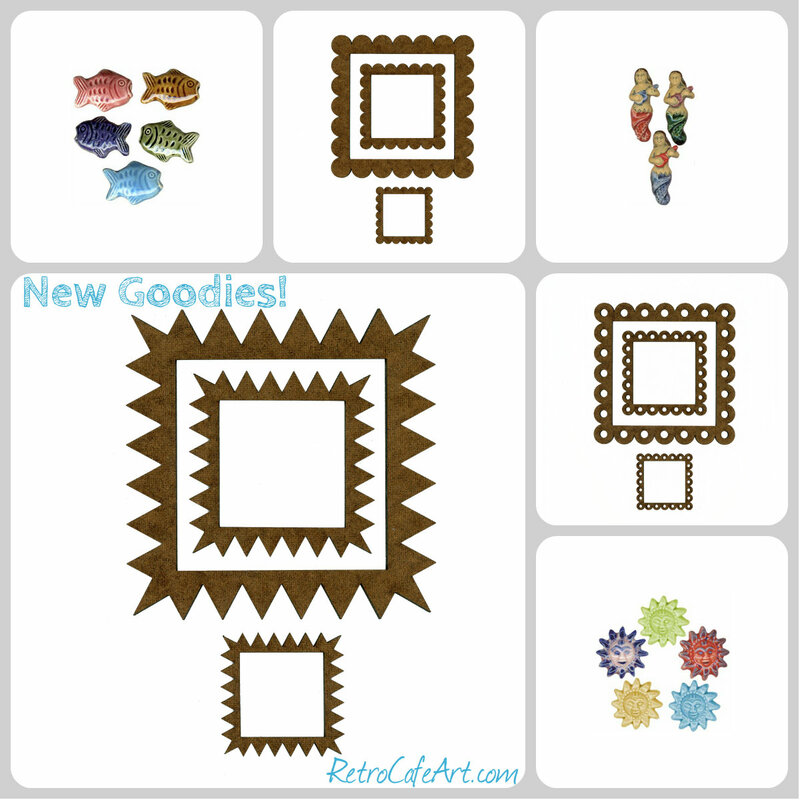 The sizes coordinate with the Shrine Kits of course, but the frames can also be used for just about any other project! There are also several other new and newly back in stock goodies, including some authentic Frozen Charlotte dolls! 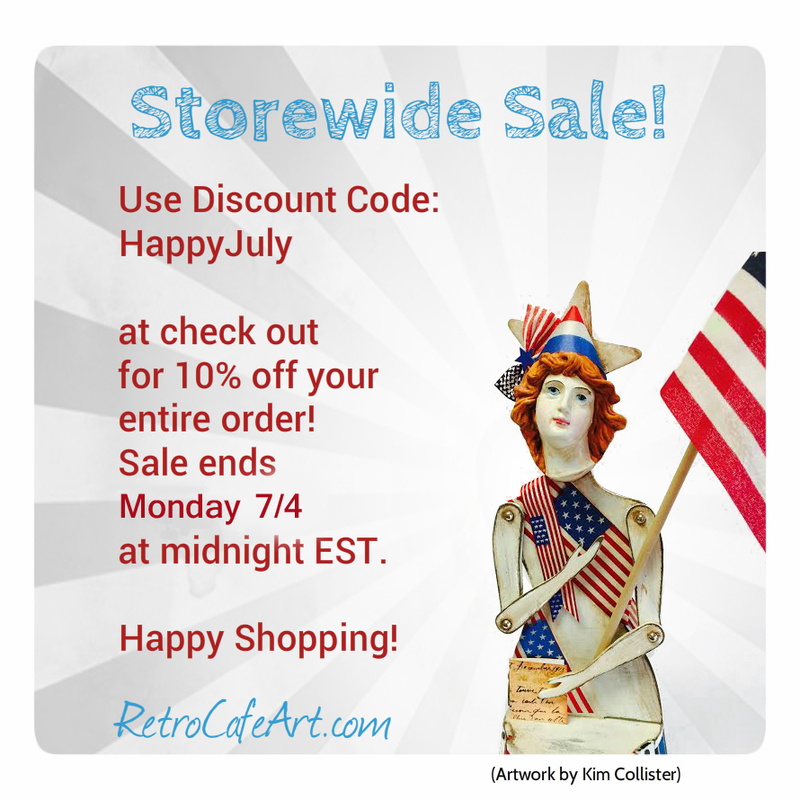 Design Team Member Kim Collister has a marvelous bonus post for you this week! 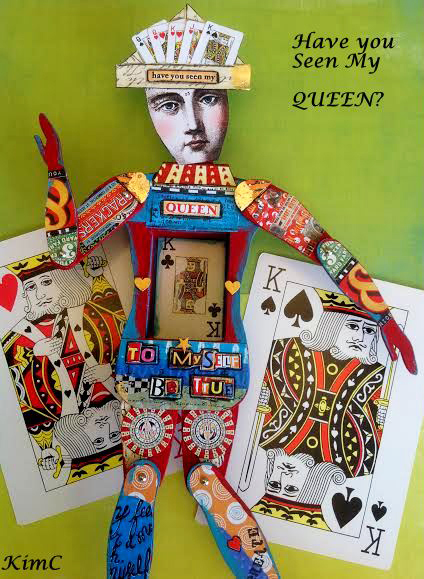 "Have You Seen My Queen" is a delightful doll packed with color and tons of FUN! He's clever and playful, and hanging around just waiting for his queen. Could that be YOU? How cute is this Frida Octopus Sea Maiden by Kathleen Codyrachel! Don't let the photo fool you. This tiny Frida is a mere 3" tall. For such a small size, Kathleen packed in so many sweet details! 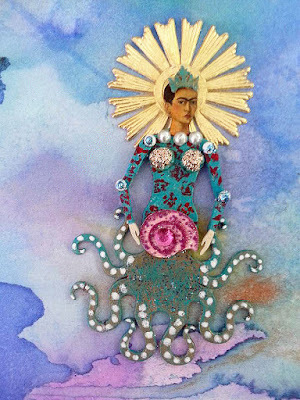 We especially love her Halo (http://ow.ly/waRl302tjYV). 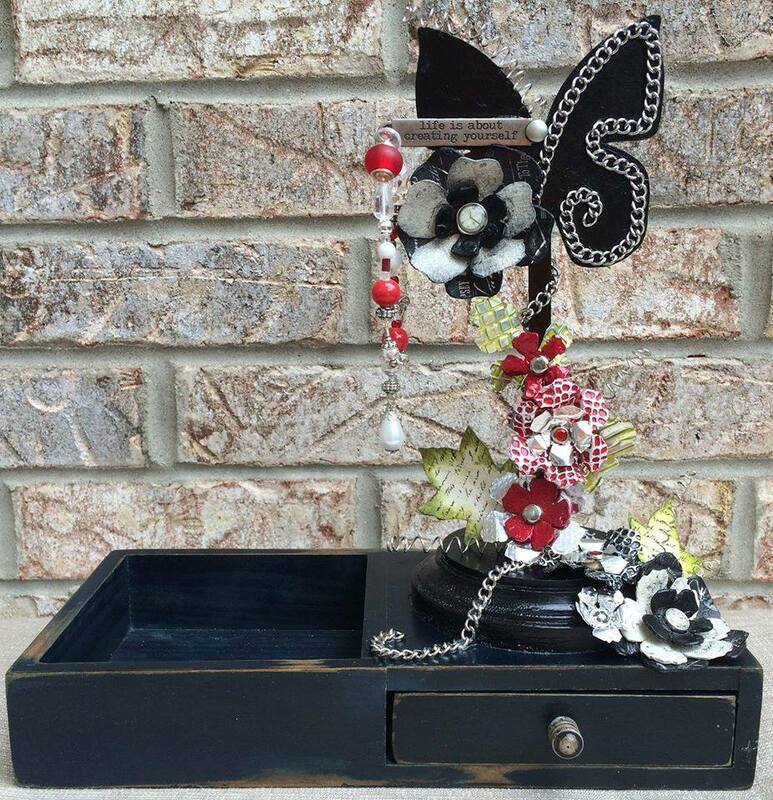 Beautiful job Kathleen! Happy Weekend Everyone! I had tons of fun designing our brand new Niche Shrines! These cool shrines have a niche built right inside! It's like a shrine inside a shrine! The perfect place to store a small treasure! 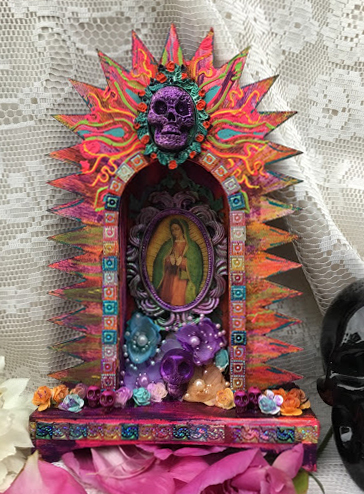 This shrine would look great with some of the new Stencil Board Picado adorning the front and perhaps a small DOTD embellishment (On Sale!) tucked inside the niche. But this versatile shrine can be used for any theme. Makes an excellent Theatre too! And you could even turn it horizontally for an interesting look. And they come in three cool sizes! I can't wait to see what you create with them! 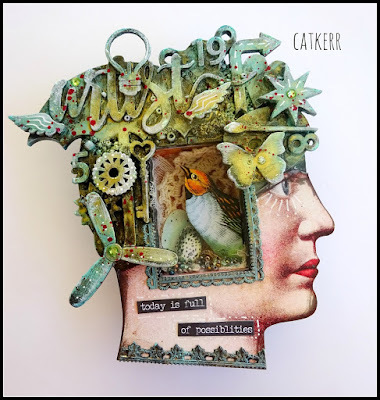 We're "Dream Catching" today with Design Team Member Kim Collister! 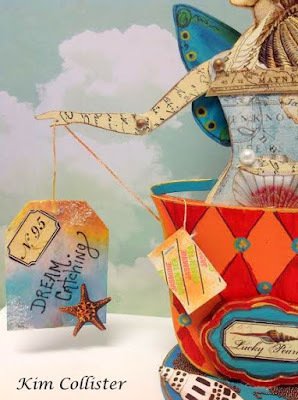 Check out Kim's blog post to see how she created her fabulous Tea Cup Fairy (http://ow.ly/8bCe3027WNj). 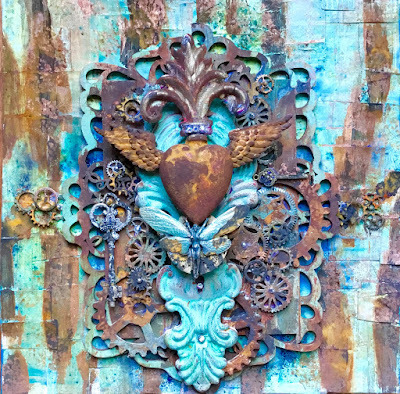 We're loving the amazing attention to details and whimsical style she poured into her piece. So wonderful Kim! 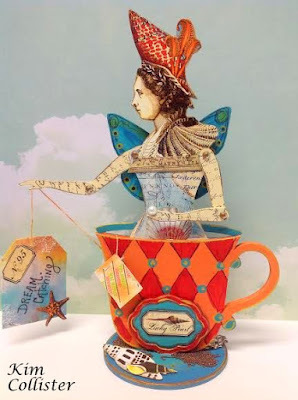 What's in your cup this weekend? 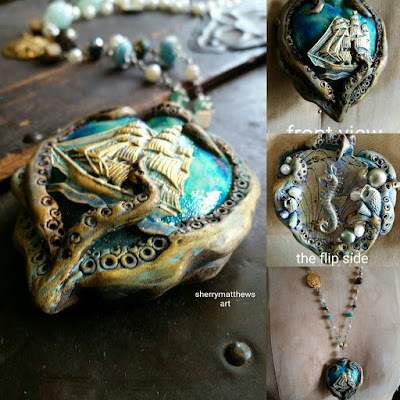 This stunning "Depths of my Heart" pendant by Sherry Matthews may have your heart beating a little faster! We adore Sherry's amazing sculpting around the Relics & Artifacts heart and her gorgeous mixed media chain. And of course the way she incorporated the fabulous brass stampings. Truly a masterpiece Sherry! Inspiration By Krizia Krizziebear Ruano! 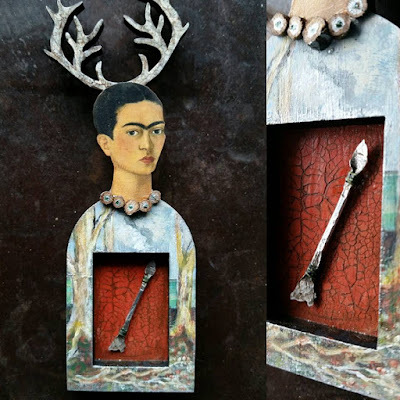 We're loving this gorgeous little Frida Shrine created by Krizia Krizziebear Ruano! Absolutely stunning colors and textures! 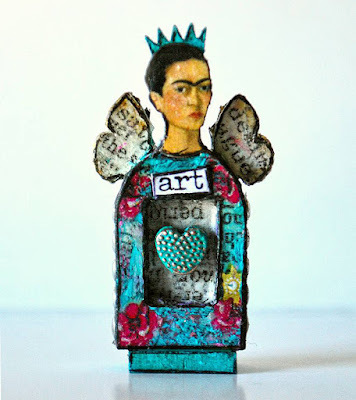 And who doesn't love "Art" and "Frida"! Beautiful piece Krizia! Happy Weekend Everyone! 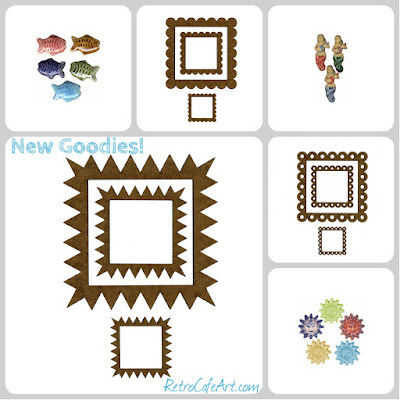 We have lots of new goodies in the shop, but of course our favorite thing is the new Stencil Board Picado Cut Outs. 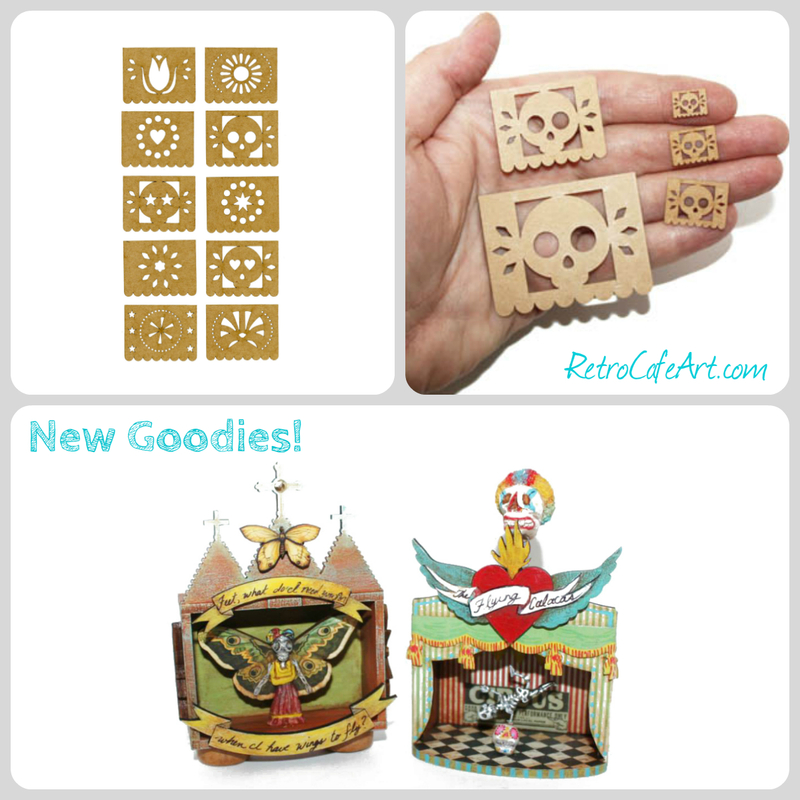 They come in 5 sizes including a super tiny MICRO size, measuring just 1/4" x 3/8". SO CUTE! 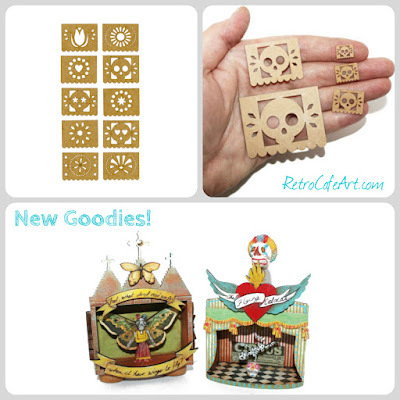 Wouldn't they be wonderful on our Mini DOTD Shrine Kits? 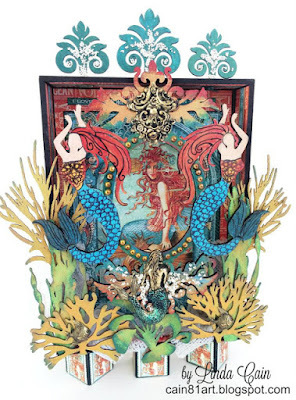 The cool shrines above were created by the talented Sherry Matthews for our 2013 swap. You can find the whole album on Facebook for even more inspiration here. Inspiration By Rose Mary Gossman! 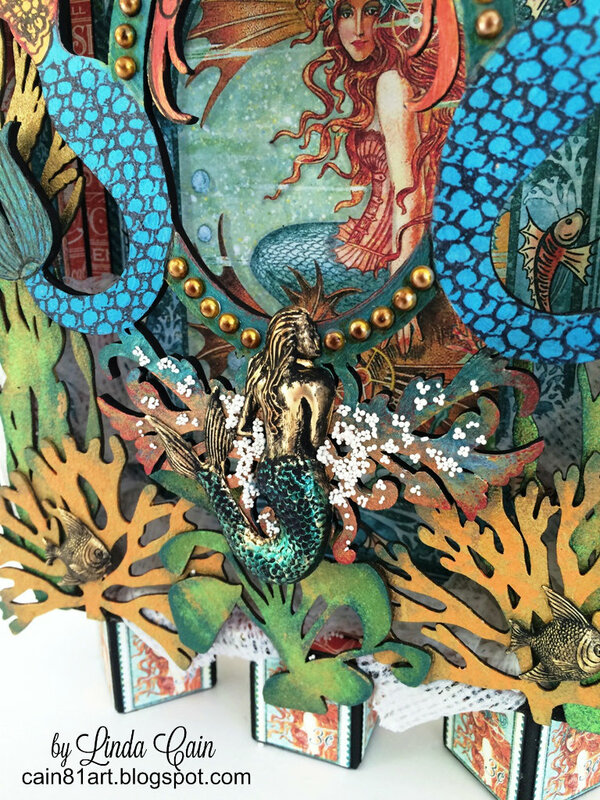 We are so in love with this stunning Mermaid Santos by Rose Mary Gossman! 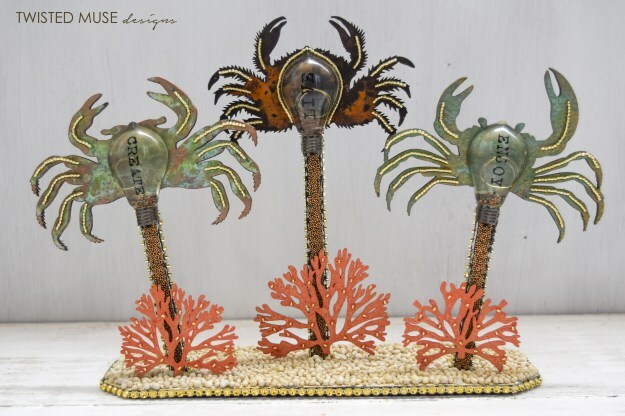 The shells, seahorses, and coral bits add a beautiful, natural touch. And she's so perfect tucked inside that awesome shrine. Amazing job Rose Mary! (P.S. 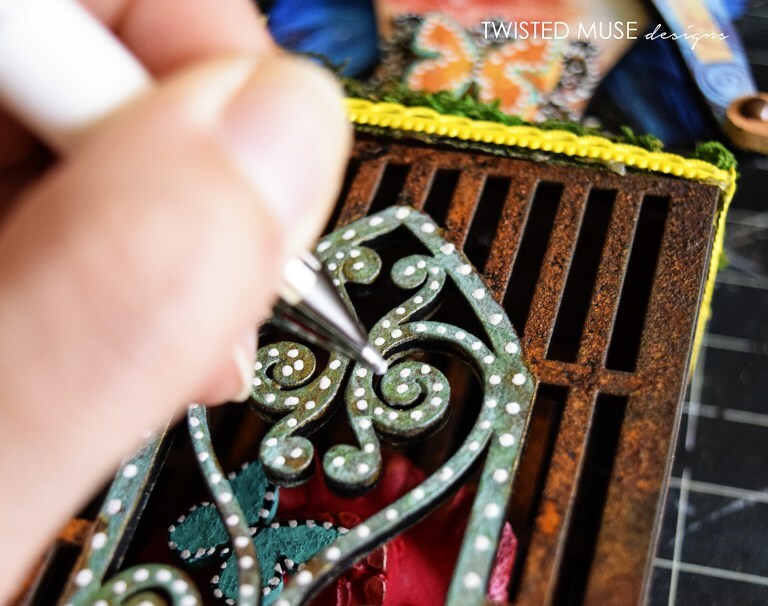 you can create a similar, smaller version with our Exquisite Shrine (http://ow.ly/M1il301XM2f) and Mini Santos (http://ow.ly/b5Su301XM5d). She will fit right inside! 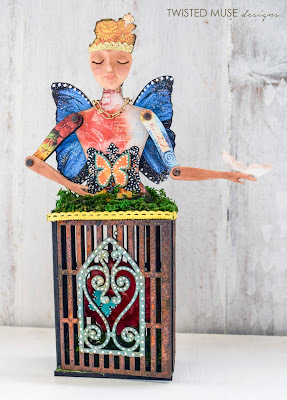 Linda O'Connor created an amazing display piece that is also functional using our Butterfly Sticks! A perfect combination of pretty with a touch of grunge! A great place to store your treasures. 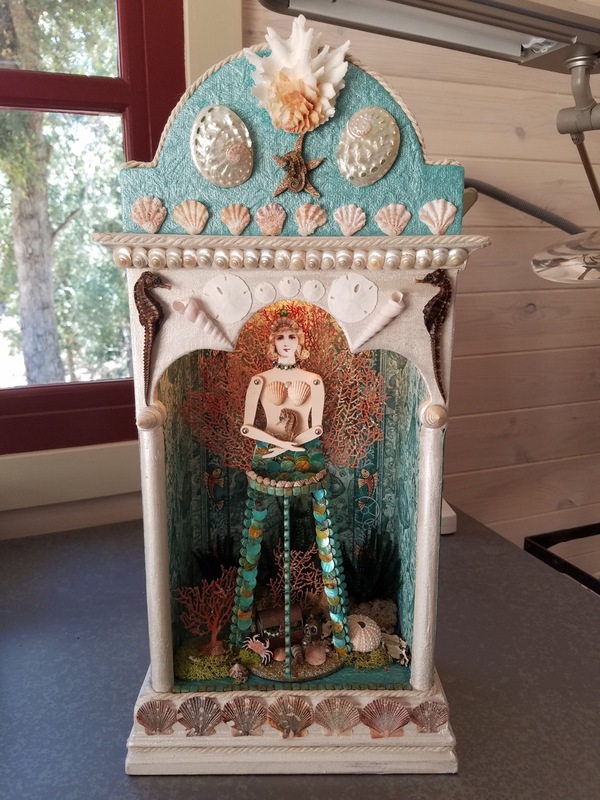 Fabulous piece Linda! 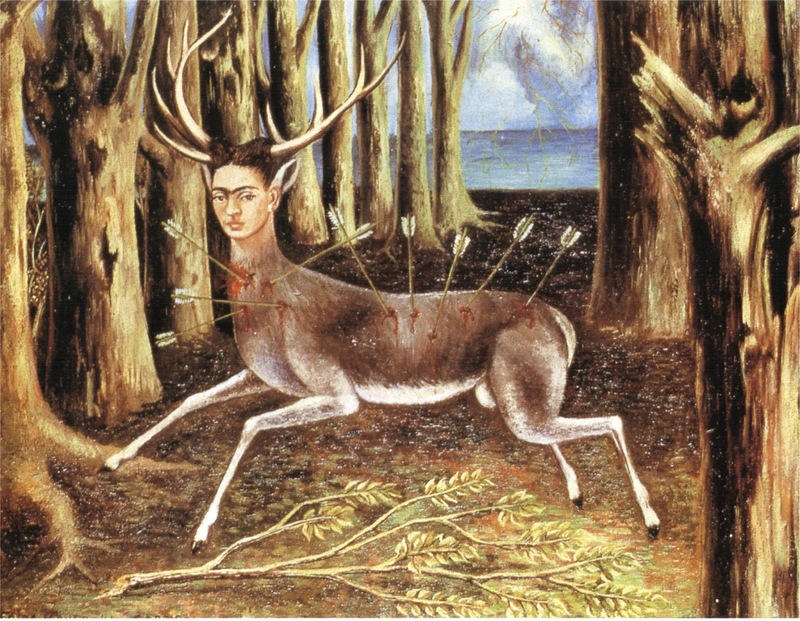 "Wounded Deer" by Sherry Matthews is a wonderful piece paying tribute to the famous Frida Kahlo painting (posted below!). 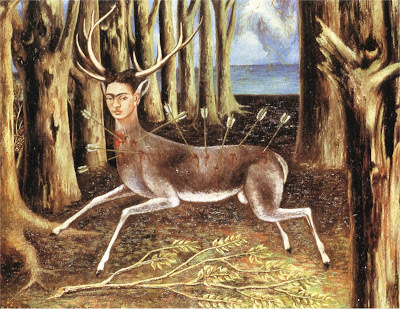 What a beautiful and clever way to honor Frida. Fabulous idea and design Sherry! On the stands now!!! 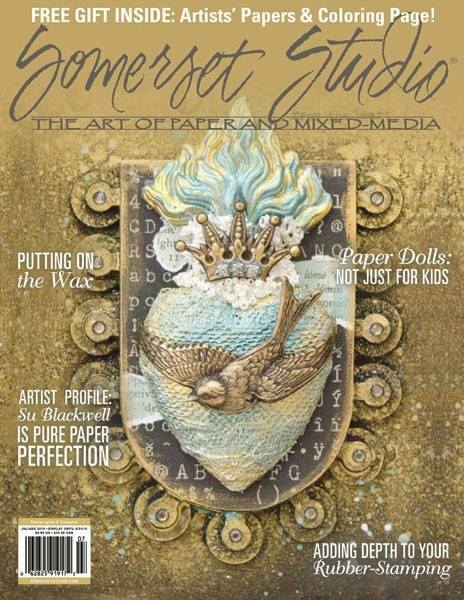 Design Team Member Cat Kerr is on the cover of the July/Aug. issue of Somerset Studio magazine with her stunning "Believe" Shadow Box project! We have our copy, do you have yours? Amazing cover Cat Kerr! 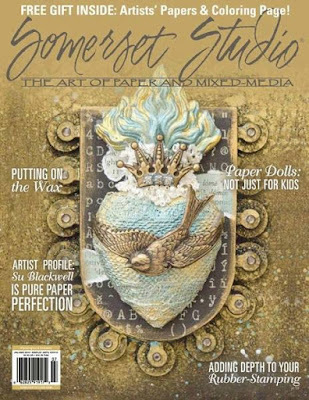 Huge congrats to Design Team Member Kim Collister for her wonderful "Building Paper Dolls" article in the current July/Aug. 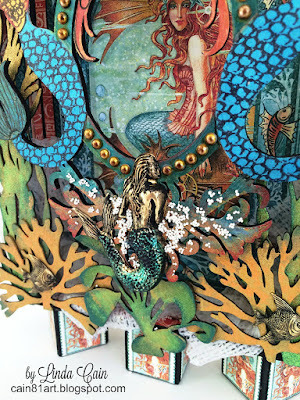 issue of Somerset Studio Magazine! We love the way Kim incorporated so many of our Paper Cuts (http://ow.ly/cMKc301MsmM) and Doll Heads (http://ow.ly/UQbe301Msy3) into her fabulous creations! 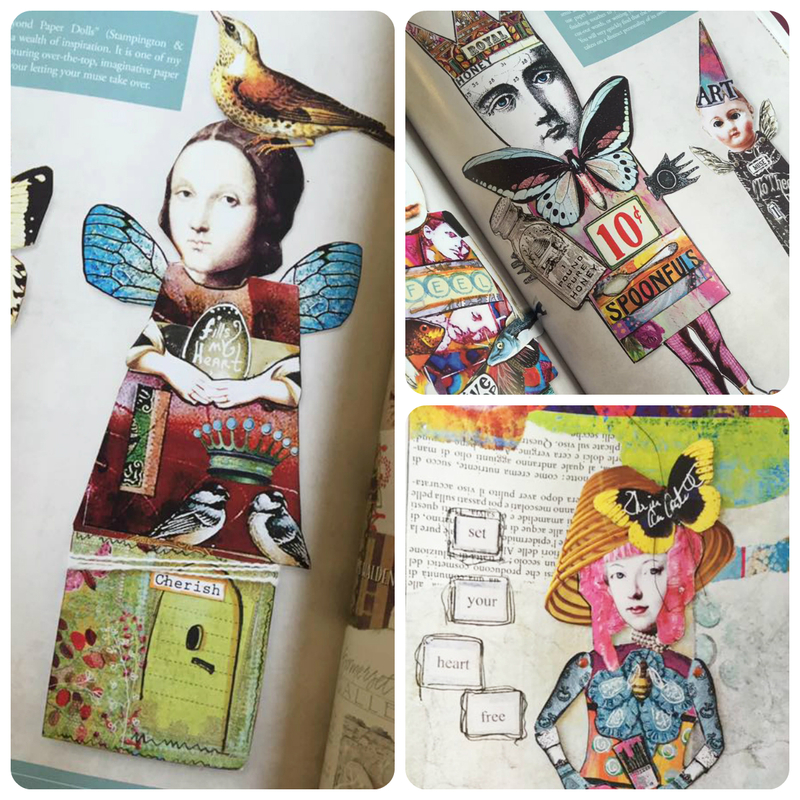 Go grab yourself a magazine and turn to page 84 for some wonderful inspiration. Amazing job Kim! 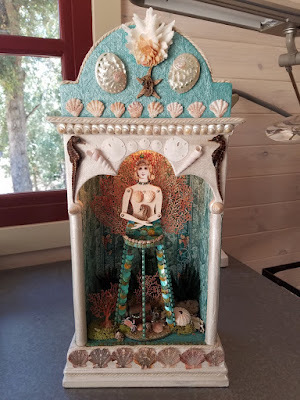 We adore this incredible shrine by Linda O'Connor! 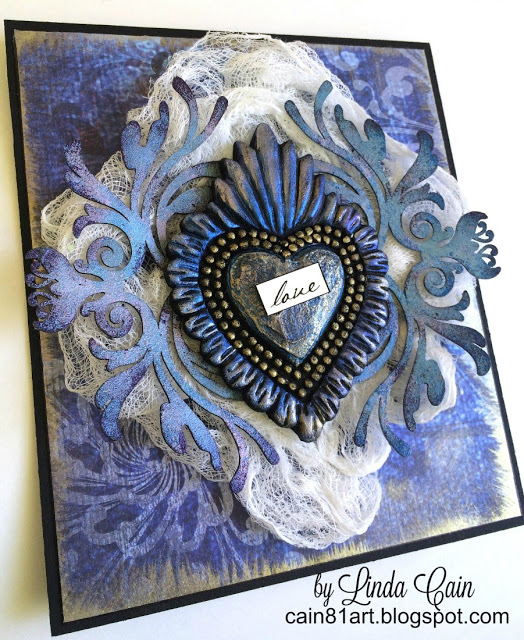 Linda created tons of movement with her chipboard filigree, and added lots of rich color to create this stunning piece. 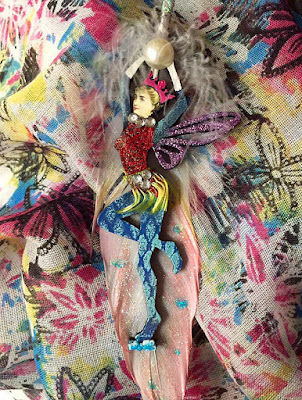 And don't miss the adorable Tiny Fairy nestled in the corner. So wonderful Linda!